Starting 13.5 billion years ago, according to one myth that began in the Twentieth Century of the Common Era, a fractal-quantum spark set off the blast that gave birth to space-time; continuing through to the possible final sputter as the last star light goes out, at a potential end of time, trillions of years hence, it is all connected, in myriad ways, in confused loops of causality and coincidence - what the Buddha would one day call "conditioned causality" and Jung would later call Synchronicity. But this story starts, as is traditional, in the middle of things... About 65 million years BCE. You already know what happened then. It is part of life's history on planet Earth. An asteroid struck Earth; not the first, nor the last, but big enough. It triggered another mass extinction. This one ending the reign of the giant lizards, opening the way to the age of the mammals, and humans. That act of destruction was also an act of creation. An era of volcanic activity was triggered, and among the results of that, somewhere deep beneath the surface, in an extremely hot and dense layer of silicon-bearing minerals, conditions were right for the growth of crystals of silicon and oxygen, SiO2, quartz. One particularly well formed, double terminated crystal, about the length of a human hand, formed in a deep chasm that, over the millions of years, would rise up to form mountains in what would become the continent of Eurasia. And then those mountains wore down enough to expose this particular crystal to the surface of the planet and the light of its sun. This at a time that would later be called 25,000 years BCE. Imagine that time in the distant past when the great glaciers were continuing their multi-millennial retreat across the face of the land masses of the northern hemisphere. Homo sapiens had been growing to dominate the planet, as nomads, crossing among the continents (with the presence, or at least memory, of the Great Ice always there, far to the North). 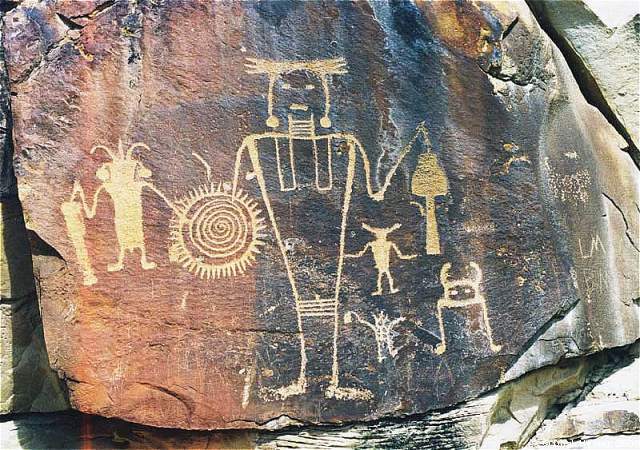 Signing, language and culture developed, and, at some point some humans began to abstract from the language that (along with fire and their stone tool kit) was a major indicator of their culture, to embody thoughts in physical form: Art was being born. Signs were abstracting. The ancient "Venus" statues with their promise of fecundity came earliest, with vigorous cave paintings of animals, humans, shamans and deities soon following. No single Mind with which to See. And Goddess, by the hearth, sat smiling. Demeter, by Eleusian hearth, smiled. Weaving wreathes of rusty rye sheaves. Fey was the youngest of three boys born the same spring to women of the Lion Clan, in the foothills of the mountains that would someday form the border between the territories of the Gauls and the Iberians. His clan hunted and gathered along a wide sweep of land, from the ice-capped mountains to the edge of one of the two inland seas that would, millennia later, join to form the middle sea between what would be called the contents of Africa and Eurasia. The clansmen knew that to the south of the two bodies of water lay many warm lands, but to the north, only the great wall of ice that marked the end of the world. To the west, some of the shamans knew, an even greater sea, the world ocean, lay; and far, far to the east, great expanses of land. "The wealth of the people is in the glory of their youth. I name this boy "Fey" for he is a treasure among the people." Likewise, he went to the two other boys and named the stronger "Thorn" and the third, who had unusual (for these clans) blue eyes, "Ice." The three boys were inseparable, roaming the meadows and woods through which the clan wandered. They were not quite old enough to be allowed to hunt with the men, but they could trail behind and pretend to be hunting the lion, the bear and the other dangerous animals that lurked about. Whenever they heard the mountain lion's roar, however, they were careful to stay down wind and circle wide. Like the other children, they were expected to help their mothers gather herbs and berries and other good things that grew all about. This way they learned about the living larder that surrounded them, achieving an understanding of the world around them that would be a marvel to the generations that lived in the cities of the far distant future, a future they could not, then, even imagine. 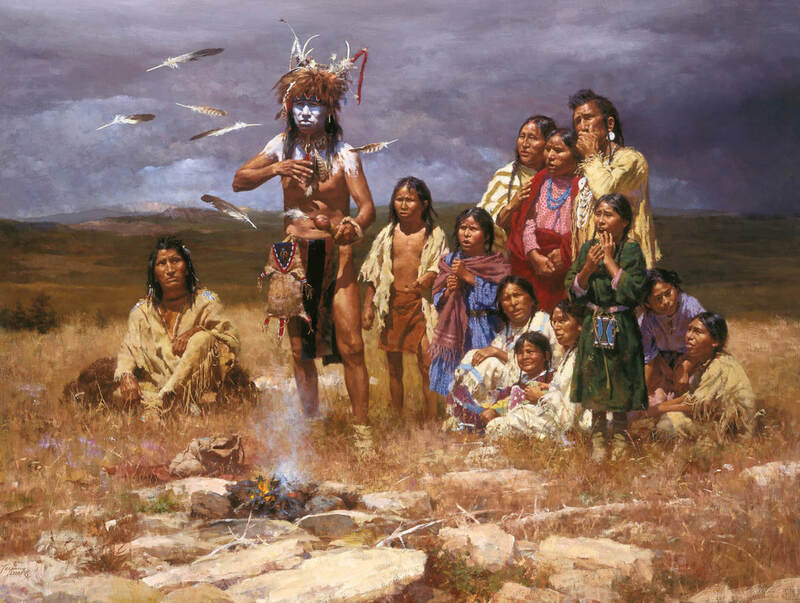 The campfire was where they learned about the history of the people; when the clans gathered; what strange things were in the world; what the signs in the sky meant. They heard about the Great North White Wall in the far beyond, the fiery dragons that sometimes sped through the sky, and other frightening stories that made up the earliest human mythology. The world was alive with powers and dangers. Once, when the clan was camped in the low hills not far from the old shaman's cave, Fey found an unusual herb with tiny blue flowers and brought handfuls back to his mother, Ash. She brought it to old Aunt Birch who told them, "This is a rare herb... when found growing on wet land its mature flowering tops make a tea good for the head ache, and stimulating to the appetite. When burned, it is the province of the shamans. When it grows on dry land, it makes the strongest fiber for ropes and baskets. Old Daeg's cave is not far from here. Two days march at the most. Let the boys bring us to the stand of this herb, so we may gather enough for us and for the shaman. The boys can bring it to him; he will be grateful." The Aunts, all the mature women of the clan, possessed great understanding of the natural world around them, and of the many uses of the plants and animals in their territory.They taught the children what plants were wholesome to eat, and which dangerous. Sometimes a plant, such as the grains they gathered from natural stands of grasses, was good as a food, but sometimes, as when that grain showed signs of fungal growth, the "Red Horn" of Ergot, using it might drive people mad, so it was reserved only for the shamans and their visions. The herb the boys found was in-between: medicinal and powerful, yet not so powerful as to be forbidden. So, a few mornings later, the three found themselves following a narrow trail in the foothills, toward a wisp of smoke that marked the old man's cave, high above them. It was warm and sunny so they just wore loin clouts, with bags full of the herb smelling sweetly, tied across their backs, travel kits rolled into skin bundles tied across their hips. When the boys went off, they always carried things they might need, little clay pots, pieces of flint, dried roots and the thin savory breads the aunts made from wild grains and animal fat, for traveling. Soon the boys were climbing by hand and foot holds, with Ice, trailing behind, opining, "How can the old man get down off the mountain... this way is not... very easy..." Fey called back to his friend below, "They say he has a secret way, but if you want to see him, you have to struggle to his cave." He climbed up to where Thorn hung on above him. ​His friend reached down a strong arm and pulled him up. "Do you see the cave?" Thorn nodded confirmation, "Climb ahead, I'll give Ice a hand..." "Sure. Thorn, you could probably run up, hand over hand while we both hung onto you." "Want to try that?" "No, Thorn, just joking!" Fey quickly clambered across his friend's back and up while Thorn climbed down to Ice, who, nodding that he understood, pushed Thorn's herb bag aside and hung onto to the big lad's shoulders, legs around his waist. Thorn started climbing rapidly, hand over hand, until he passed Fey, "Hey maybe I'll take you up on that offer..." Thorn did not slow, so Fey started climbing quicker, "With that handicap, I'll get there first!" They continued the climb, in silence as they focused on finding finger and toe holds, both reaching the lip below the shaman's cave with the same hand grab. Ice pushed against Thorn, jumped up and over his friends and stepping nimbly to the flat area before the cave, called out, "I'm first! Just shows smart beats brawn up the cliff!" At this, his two friends, having gained their feet, dove at him and all three rolled across the ground to a stop, below the feet of the old shaman, Daeg. "Well, look what the wind blew in... three scruffy boys and…" sniffing, "sweet herbs... just the plant I needed... always come when they're called." Fey blurted, "Is it a sacred plant, shaman?" The old man's eyes opened widely, "All plants are sacred, boy." "I'll take the bags, you three sit out here. Quietly. 'Til I return." Daeg looked sternly at them, but with a twinkle in his eyes. The old man was wearing just a tunic of woven flax, without the bearskin cloak they had always seen him wear, when at the gathering of the clans. He looked very old to the boys. Fey thought, "They say he's seen near fifty summers and is older than almost anyone..." They quickly untangled themselves, presented their bags, and sat down in a row facing the cave mouth. The old man walked away with the herbs, shaking his head as he noticed two of the boys elbowing each other. In a huge, booming voice, echoing loudly from the cave and back around them, he called back, "I said quiet!" They froze and didn't move until he returned. 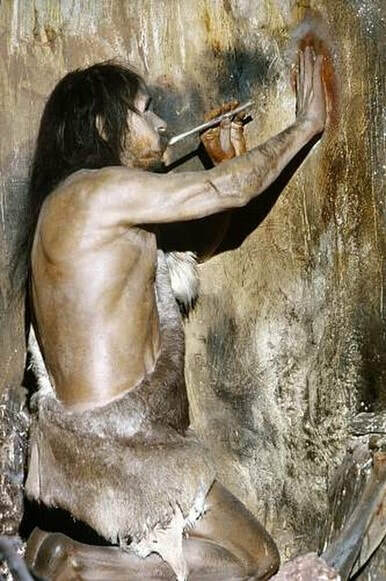 For some time the shaman was busy in the cave. They could smell a goodly mixture of herbs burbling and burning. They wondered what he was doing. He returned, this time wearing his robe, the bear head on top of his own. He looked taller. Sweet smelling smoke billowed out of the cave around him, enveloping them all. 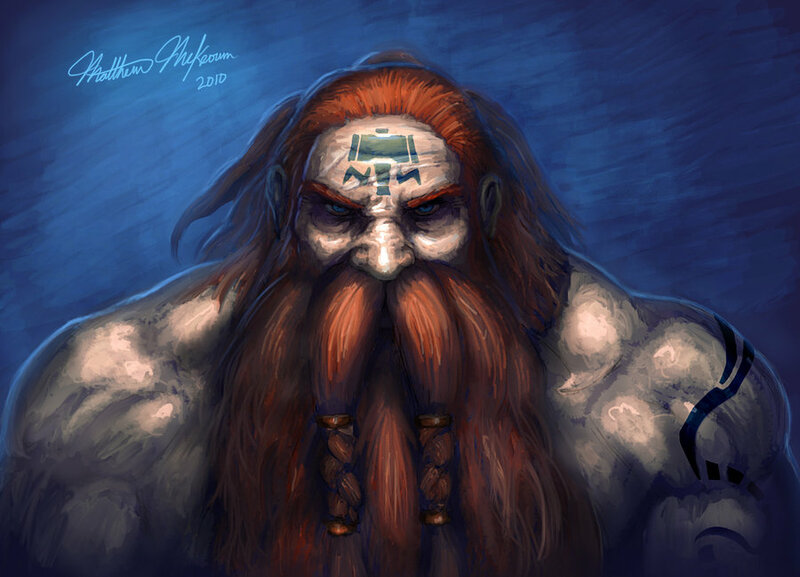 At that moment the old shaman was very imposing, standing there with his staff crowned with his famous Fire Stone. He was carrying a gourd. "Before you may enter the Cave of the Shaman, you must be purified and prepared." He held out the gourd, "Come each of you and drink..."
Fey and the others stood and stepped before the shaman, each gulping the dark, bitter liquid held out to them. The shaman then stepped back and held his staff upward, to a beam of sunlight dancing on the wall above the cave's entry. The crystal caught the light and seemed to gleam more brilliant than the sun itself. It cast its own beam of light down between old Daeg and the boys; a miniature sun dancing on the ground. He moved his hand slightly and the spot of light approached them. They gazed at it, in awe of the magician's great power, his authority over the sun itself. "Close your eyes; breathe deeply." The shaman flicked his wrist again and the light danced across their foreheads, pausing at the point just above and between their shut eyes. Fey could feel the momentary touch of the sun, could see its light dancing in his head. The shaman spoke, "By the kiss of the sun, you are purified. Sit now and prepare to receive..." Fey sat without opening his eyes. As he did so, he felt himself floating upward, though he knew he was moving downward, sitting on the cool ground. "Breathing deeply; rise up; let the herbs fortify your spirits…and you may prepare to enter the caverns of magic." He watched carefully, remembering the lessons he had learned so long ago when his teacher had chosen him to learn the secret Way. He had begun recently considering whether it was time for him to choose a successor. The number of clansmen was increasing. Perhaps he should begin to train several of the lads. Were any of these candidates? Was their herbal offering, coming the very day he noticed he had none left, a sign? He could tell by how deeply they entered that other Mind, that sleeping mind that could see beyond the world of sky and earth, stars and forest. Could any of these be awakened? As he watched, it was certain that the largest of the three was not ready. His name was, yes, Thorn. Nephew by his sister's daughter's first husband who died while on the hunt. But, of course everyone among the clans was related one way or another. No, he fidgeted too much to be able to mind train properly. He will be a mighty hunter some day, though. And a leader among the clans. The early training would benefit him; teach him the patience a hunter needs. It would show him the power of the shaman's Way, so he would respect the shaman when he led the clans. "Yes, I see it" the old shaman thought, as he entered the shaman's state of consciousness. He saw a gathering of the clans. He knew he viewed it from the spirit world, beyond this life. An older but still youthful Thorn stood on the Speaking Rock, before the clans. He stood tall, seeming to glow in the sunlight. Standing next to him, but slightly behind, was the shaman holding high the Fire Stone, lighting Thorn's visage. The shaman was not him… but who it was.... he could not see. Perhaps it is one of the other two; or both. They were both obviously in deepening trance. He knew how he was related to them each and thought that Ice might come from the line of shamans in his old teacher's mother's family. Well, their clan was likely to wander within a few days march from the cave for the next few seasons. This would be the right time to start some of the lads. These three could not be separated; he would have to begin to train them all. Which of the two would continue for more than a few seasons he could not yet foresee. And his successor... only he would know the price he would have to pay to see beyond the ordinary. Then he began to chant from the ancient Song of Beginnings, striking the ground rhythmically with his staff. What emptiness could be there. PA<T NOZ LYALAM. One reflected and was two. LAR COPeR YaD LAM A< DaR. The beat of his staff continued, slower now, as he spoke to them, "Being one with that Mind is the goal of shaman work. Along the Way we learn to foresee the dangers and joys that may come to the people; we learn to heal and to travel on that starry path, high above, forbidden to most of human kind. I choose and challenge you three to enter the cave and see how far you may journey on this Way. Open your eyes and follow me." He turned and entered the smoking cave mouth. As though in dream, Fey and the others stood and walked into the dim cave entrance. To their right and left were boulders strewn about, but a narrow pathway had been cleared through the center. Abruptly the rocky area ended and a smooth cave floor angled down into darkness and smoke. They saw a light bobbing in the haze ahead. They followed downward. As he breathed the smoke, Fey was becoming lightheaded, confused and unsure of the direction they were following. Just behind and to his left strode Thorn, with their friend Ice walking carefully behind the other two. They continued for what seemed a long time and then the light disappeared. Thorn whispered, "Hang onto me... let's not separate..."
Without warning, a fire flared, driving the smoky air away. Fey’s breath caught. The shaman was standing on a low, flat boulder, behind the fire. He was casting strange shadows on the curves and mounds of the cave sides and overhead. He threw some dust from his hand over the fire and it quickly died down to embers, as the shadows grew deeper, the light dimming to a soft glow. "Look up and behold..." The boys' eyes followed the glittering tip of the old man's staff, pointing upward, where, as their sight adjusted, they saw an opening in the cave top, a great circle filled with stars. "...And now..."
The Moon appeared in the opening, outshining the stars. They watched in awe as it became full and glowing, beaming its pale light to the center of the cave, between the embers and shaman. "Now enter the light and hear the calling of the shaman, and your first tasks." "Before I sang for you the Song of Beginnings, which you have heard each spring, as the New Year begins. Now I sing for you the Song of Calling, heard only by those who are called for the great work of the shaman. This is the beginning of the secret Way. Only a few hear the call; fewer still respond; and not one in ten tens achieves all it offers." He began to chant again. Shaman's Way is dangerous. DY<> ZAMaMeSOD LAM A< NODAK. With terrors and with pitfalls. YE>C eNODAKDAM YaD eNODAKeR. There was a rumbling sound deep in the cave, like thunder or the angry sea. Fey felt himself trembling as the shaman continued. Find a world within yourself. CAPHaDaMYO> YE>BC O>Za>M. When the Mind is ready. PA<N E MaDaT DaMACLaMU. The chanting stopped. He paused; then spoke quietly, "But not yet. First you must choose the Way and then, after you have begun training, I must set a quest you each must perform for me. "Do you each choose to set your feet on this path? You must answer aloud." As he looked at each of the three they each spoke, Thorn, tentatively, Ice and Fey with more certainty, "Yes shaman." "Then swear now the Oath of the Shaman, repeat each line after I speak it. "To obey my shaman master in all things without question or hesitation." "Now say, 'To this, master, and to do whatever is required of me, I dedicate my body, my life and my immortal spirit, for ever and ever, lives without end." The phrases were repeated by the boys as the shaman spoke. The words "immortal spirit… lives without end" echoed into the following silence. "The First Secret is that you are forever and will come back again until you ascend to the immortal stars! With life after life, you will know the all. Sit now within the circle of the moon and wait. You will remain here in the cave with me until you are sent on your quests. I place a ban of silence upon you. None of you shall speak when within this cave, except to respond to my questions. Do you understand?" 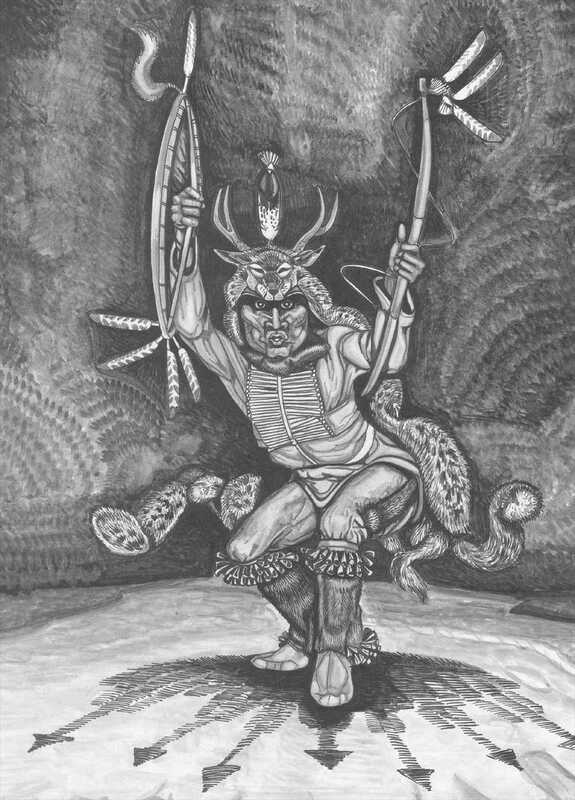 Their mumbled assents and nods, to their surprise, angered the shaman and he strode to them, raising his hand from his robe, revealing a slender stick, as long as his arm. He struck them each sharply, but not really hard, several times about the shoulders and back, stating loudly, "When I question, you will firmly state, 'Yes master.' Now repeat..."
The three, this time loudly, responded as directed. "Good. I will beat you only when you hesitate or disobey. For now, you will keep silent vigil in this circle until the sun replaces the moon. We will then begin your training in earnest." The shaman turned into the shadows, disappearing, leaving the boys sitting in silence, the herbal potion lingering long as dawn replaced the night. The moon cycles that followed were the most arduous days and nights of the boys’ lives. They had not expected that they would be taken from their families when they left for the shaman's cave with their offering of herbs. Fey thought that maybe they were the offering. But he did not have much time to think about his people since the shaman kept them very busy all the time they were awake. 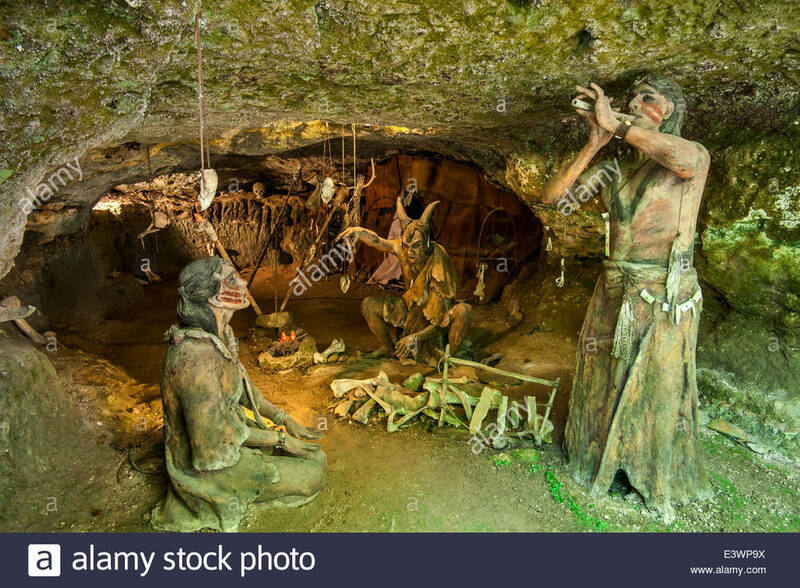 That first day after the sun filled the cave's opening to the sky the shaman gave them another strange herbal drink and had them close their eyes to feel it, as he said. To Fey it felt like heat pouring from his belly out through his limbs. When the shaman told them to open their eyes and stand Fey could see Ice's fair skin reddened from the stimulation of the herbs. Thorn's muscles looked larger; his veins were pushing blue against this skin's blushed tan. 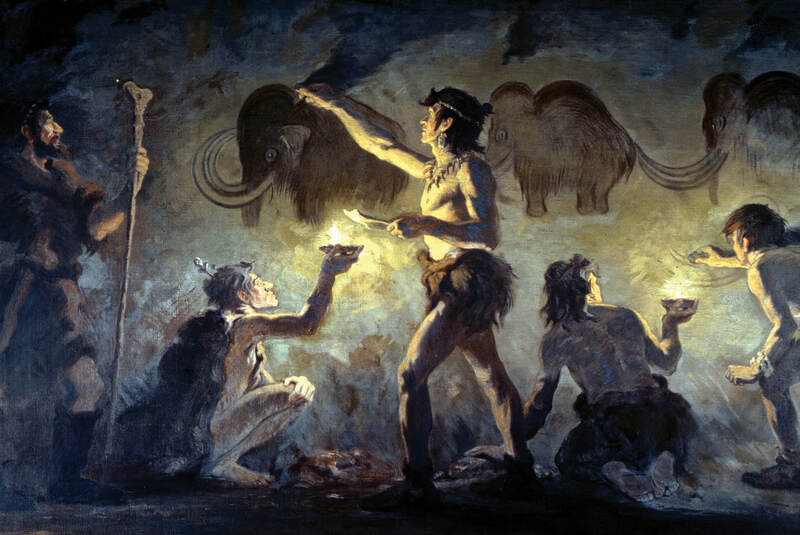 The first task they were set to was to remove all of the rocks and boulders from the entrance to the cave. After telling them, and reminding them to remain silent in the cave, the shaman left them and retreated deeper. With Thorn leading the way, they climbed back out silently. Fey knew the shaman's potion would give them strength and he was not surprised that they were able to begin to move even the largest the boulders toward the entrance. Once outside with the first of the larger rocks Ice asked, "Well, do we just roll it over the edge?" "I don't think we should." Replied Fey, "We swore to hold all life sacred.... rolling rocks down onto the forest can't be right. Let's bring the biggest out first, roll them to either side; then Thorn can lift the smaller onto them." "Sure, I can lift 'em, but why..." "To make... like little mountains... by the cave. Can't you see that?" "Nah, can't see it if it's not there!" "Fey means when you close your eyes, you can see things that aren't there..." "Guess you two are really shaman... they always see things that aren't there." "Sure," Fey concluded, "but it's gotta be in your head before it can happen..."
"Well, that's why we have shamans, right. Maybe I'm not one, but I'm here to be with you both." "Us three together... right!" Thorn grabbed the other two boys and pulled them into a hug, "Hey, you're squeezing me like a bear..." "Um bear hug, right.." The two smaller boys finally managed to pull Thorn down and they all ended wrestling and laughing among the rocks. ​It took a few days to move all the boulders and rocks, working together in silence. They only saw the shaman when he came to feed them, sometimes porridge, but mostly different herbal potions. When he first saw the beginning piles of rocks, he stopped, did not speak for a while, gazing at them, “This is… unexpected. Truly, the teacher teaching, learns…” He shrugged and left them there. A few times while they slept Fey thought he dreamed he heard the shaman chanting to them. Once one of them spoke while in the cave. The shaman seemed to be there immediately, chiding them for disturbing him. He had them stop; line up and bend over. Fey understood what was about to happen, braced himself against Thorn, and took ten blows from the shaman. "Now sit here in silence until morning." He left them, without supper. None of them dared speak, but Fey could see the tears in Ice's eyes, the anger on Thorn's face. He wondered why he still felt calm. The shaman must have known what he was doing. Or maybe he was just an old man who wanted quiet. The next days they continued moving and piling rocks, hauling and scrambling them on top of each other. It was tiring work and the boys were glad when it was done. The shaman didn't come back to the cave entrance until the rocks were all moved and piled. When he saw the two little mountains -- each twice as tall as even Thorn, the shaman nodded, "Very good. The sun will warm these rocks and in the night you will feel their protection at the entrance. We shall add power stones and offer herbs. Maybe an earth spirit will indwell. You have done well. Together, you are very... interesting..."
They remained with the shaman as the old moon waned and the new moon waxed twice. After the physical task of moving the rocks, the other tasks he set them to do were tasks of the mind, to, as he said, "Move you from the ordinary way the clansmen see to the special way the shaman sees." They sat for long hours just beyond the circle of light cast by sun or moon in the great chamber, deep within the cave system. During those sessions they would hear the shaman's voice out of the dark, telling them things, over and over. At times he would enter the light, glowing in cunning masks of the animal and other spirits that inhabited the invisible world all around them. The shaman continually fed them herbal concoctions, let them have little real sleep; often startled them with noises, strange gestures and smokes. Fey knew he was no longer in the ordinary world of woods and hills the clan inhabited. Now they were in this strange place where nothing was what it seemed and everything was leading them on to see the world the way the shaman sees. Their nightly vigils saw the moon waning and waxing in the circle of the cave. When the shaman was not there, Ice had taken to marking an old bone with little nicks, counting, as he explained, the days between full moons. Then came the day the shaman sat before them, in his plain tunic, speaking quietly. "The time has come for you to separate and achieve your first quests." "First you, Thorn, at the full moon, you will use your strength and skill to climb alone above this cave, to the very top of this sacred mountain. There, among the ice and stones, you will find an outcropping of firestones. You will fast there overnight and seek to know which stones want to come back down with you. Bring back two threes - six crystals. The first three will be spirit crystals for you each and they are your fee for this training. The second three I will place on the two piles of rock and in a chink above the cave opening, and between your crystals and those you three may learn long-seeing. I have had a vision in dream that one of the firestones you find is very special. I am not sure why. I ask you not to touch the crystals with your hands, but wrap them in a skin, that no one may touch them until we all see them together. "And you, Ice, will quest to the lands of the Dolphin Clan, by the Middle Sea, and there entreat them with your skills of persuasion for an offering of three of their finest shells for herb mixing. These you will return with, and they shall be your offering for each of you to use. "Lastly, you Fee, will quest to the great plain north east of the sacred mountain, and there among the wild lands, at a certain place that I shall describe to you alone, you shall find the blood of the earth, sacred ocher, red from the fires of the earth. Return with three hands full for each of you to use. This is your fee for the opening of the path." "When you return, these objects will be used for your first true initiation. Do you understand?" "Yes master!" "Ah" the shaman thought, "but how can they truly understand where their paths will lead? Yet boys are always thrust into the world of men not really understanding..."
And so the three would leave, making their separate ways back into the world. Fey had been sent by his teacher on his first quest to find sacred ocher. His journey led him alone across the foothills north and west of his clan's territories. On the first rise beyond the shaman's mountain Fey looked back and thought he caught a glimpse of open water, far away, near the horizon far below. It might be the nearer of the Middle Seas, he thought, in its deep basin. It was by the shores of this sea that the clan gatherings were held. He knew there were two seas to the south, between the lands of the clans and the hot lands. They said, to the west many days walking, over the mountains, there was another sea, far greater and not as deep set as the Middle Seas, with a great mountain wall between, holding the Great Sea back. The shaman told him, less than a day's walk onto the great plain, there was a stone rise and bald hill of reddish rock, not at all like the gray and tan hills about. He thought he saw it standing before the white horizon it as he came down the last hill. So, calling on the wind to guide him, he set out in the direction he guessed was right. A few hours later, he reached a tall tree standing by a spring. The only trees hereabout were by water sources, so he followed the usual clan practice of walking from one to another. He climbed the tree and looked all around, seeing only flat green. But off to one side was a yellow red blotch far off. (Well, he had almost set out in the right direction.) That night he camped at the base of the hillock. Staring over his fire's embers and up to the stars, he wondered where his two friends were. Holding his crystal before the fire, he gazed into it, almost believing he could see his friends on their journeys... “Thorn made it to the top of the sacred mountain, returned the crystals, and now, the crystal seemed to show him, Thorn was on a hunting journey. What was Ice doing down by the Middle Sea? Probably frolicking with maidens of the Dolphin Clan.” Then he felt that Ice was doing the same, at that moment, by another camp fire. He fell asleep, thinking of them and his task. The shaman had told him he would have to search the hill. While much of the ground and rocks were reddish-yellow, the true ochre was to be found in small pockets where the earth had concentrated it. He might have to dig for it. It might take days, but, old Daeg told him, if he prayed, the power would come to him to find the ochre he needed to bring back for the initiation of himself and his friends. Early the next morning, after stirring the embers and boiling up some of the roots and herbs the shaman had given him in his little clay pot, Fey felt ready to seek the ochre. But first he sprinkled some of the herbs onto the fire and sent his prayer up with the rising scent. The Blood of the Earth. E KAZaLS YE>N< E TAKAK. His oblations completed, Fey began to climb the rough hillock, into the rising sun. The smoke from his fire seemed to follow him with its sweet aroma. It mixed with whirls of morning mist. As it swirled, he could imagine shapes forming in the tendrils of fine white smoke. From his high vantage point, he now could clearly see the long line of the World Ice, so far away, gleaming so brightly in the morning light. One ball of the smoke trailed above him and to the right. He turned to follow, stumbled and slid down a few dozen feet, to a large rock that gave way under him, tumbling him further. He found himself at the bottom of a little dip where his fall had scrapped the surface, revealing the bright red of the sacred ochre. He yelped briefly, thinking at first that the color was from his own blood, spilled in the fall. A quick look about showed him that he was whole and had found what he sought. He gathered the requisite three handfuls and put them into a sack tied to his waist, uttering a short prayer of thanks to the spirits of the place. He covered the spot with dirt, leaving it for another to find at another time. He turned and found his way down the hill to his camp, glad to be off what he knew must have been a haunted and holy spot. Fey thought his journey home would be simple after the climb into the mysterious mists of the sacred hill. He marched a day’s distance and set down to sleep on the open prairie, under the great dome of a moonless night. He ate cold scraps from his pouch and did not light a fire, not so much to avoid attracting hunting beasts, as much as to preserve the dark, to better see the stars. He wondered why the clan’s people always had so many fires going that it was hard to see the stars for the smoke and light. Maybe only shaman really watched the stars. They had to, in order to keep watch over the seasons and the signs that came and went in the heavens. He saw the Great Hunter rising in the sky, remembering old Daeg telling him that the signs in the sky marked the passing of the ages and (it being a deep secret of the Shaman Way) that they all slowly moved backward against the High Pole of the sky– and even the star closest to the pole slowly moved over the ages. How did he say it? The shaman had showed them secret marked bones (like Ice had tried to make) one for the cycle of the moon, one for the cycle of the sun. ​The three boys had sat transfixed as the old shaman had explained the deep history of their world; its rhythms of cold and warm – the yearly rhythm and the rhythm of the ages. That night Fey dreamed, and dreaming became aware he was dreaming, and so he dreamed, as the shaman do, but did not understand. In his dream he saw a far off time when the actions of humanity would mark the earth and change its fate, banishing the cold, perhaps forever. But the images he saw were so strange, so incomprehensible to him – tall structures of stone, smooth and shinning… lights in the night, moving, moving. So many. Like the stars in the sky. Flowing like rivers. So strange that he told no one, not even Daeg. Now, looking deep into the Great Dome of the Sky he began to understand the vastness of the world, the time before and yet to be. The sky must stretch forever. “How could that be? Didn’t they say the sky was like a gourd, the stars like holes in it, letting in the light? Light from where? The Shaman said, “All things are lights…” How long does light take to walk from there to here? Can the light be coming from forever? How could that be? Why couldn’t it go on forever? Then the stars aren’t tiny lights, but must be really great lights, like the sun, but very far away. And maybe those suns light other worlds, like this world… How strange they might be… like that world I saw in that dream…” And he fell asleep. ​Next morning he arose early and gathered his kit; strode toward the blue line on the horizon that marked the start of the mountains. In the distance he could see huge mounds of dark gray clouds – thunderstorms that he knew to be far larger here on the prairie, unlike the weaker storms of his hilly home range. He could see flashes of lightening below some of the farthest. Between here and there, a great swathe of prairie grass waved, like ripples across a lake. At first he thought he saw only endless grass, but, off to the left, there was a smudge. As he walked, it became larger until he walked up a small rise. There he saw, in the distance, a huge herd of the Auroch, the great bison. The animal was deeply revered, and widely hunted, by all the human clans that lived around the sub-glacial prairie, even among those, like Fey’s people, who lived in the hills and valleys that ran down to the inland seas. One, sight, could focus on the tiny and the exact, like the aunts sewing; the other could receive sound broadly, like he heard thunder seeming from different cloud sources, yet mixed together. Then, at one great spark and nearly simultaneous crack from the nearest storm, the herd of Aurochs turned as with one mind and raged away from the storm, toward Fey. In moments the whole curve of the horizon seemed blocked by, he thought, the onrushing of this storm of animals. The dust of their panic seemed to be reaching out to him even before the hooves of the beasts. He looked left and right, he turned and faced the oncoming herd, realizing there was no where to run... but the rise just behind him; he turned and ran back, turning again to realize that he was just a head above… what appeared to be the ground itself moving toward him. He thought that old Daeg would not have to choose between Ice and himself… At least he had the ocher to make the clan markings, so the ancestors would recognize his spirit. Ocher, the blood of the earth, gave life to the shaman’s ritual objects; it marked those who journeyed to the ancestors, as he would now. He marked his face and took out his power crystal, holding it high so it caught the sun light. Yes, Fey understood, this is a spiritual meeting with great power. The herd of bison roaring across the plain was the power of the prairie itself. He took the blood of the earth, now the earth wanted his blood. Eventually the earth would always have its due. He made the facial markings quickly -- knelt with his arms outstretched in prayer toward the wall of animals roaring toward him. He closed his eyes… felt and heard the thunder of the mass of bison roaring toward him. Then, the surging herd parted, round the hillock, roaring passed; Fey untouched. One great beast remained, a rare white bull, who ran once around him and then headed off in a direction somewhat different than that of the rest of the herd, but along side its path. Fey remained, shaking, as the thunder of the herd receded. He felt totally drained, and cleansed. Died and reborn. And chosen. 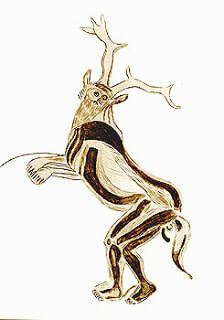 Fey startled awake from another dream about his encounter with the Auroch herd, now several moon cycles ago. He remembered. He was in the cave, in the dark, among the sleeping skins, with his friend Thorn snoring next to him. He snuggled deeper, against the warmth, drifting back to sleep. Daeg, the old shaman told him the white bison was his power animal, and a great power. This spirit would watch over him, but he needed to be aware... Great power always carried great risk. Even before Fey's experience with the Aurochs, Thorn had returned from his quest with the six firestones as Daeg had directed. The old shaman made quite a ceremony of unveiling and considering the crystals when they had all been last together. He laid them out without touching them, and stood back so all could admire their clarity and brightness, as they lay under the sun at the entrance to the cave. Fey could not take his eyes off one of them, not the largest, but beautiful. It was as long as his hand, with points at either end, and seemed, to him, to contain wisdom beyond the ages. Thorn, seeing him staring joked that the crystal was not unlike a manly member... and Daeg said, "Yes, Thorn, you are seeing the power to make worlds. This is a great power. Not a joke. It is meant for Fey and will be with him forever. Fey, you alone may touch it. Meditate on it. Learn from it. See through it." After the first few months, their teacher had begun to separate them for training on the shaman’s path. “You each have a different path to take, but they cross… you each will see… in the way appropriate to each.” Ice had become his legs, bringing news and questions from the clans, along with offerings, and returning with potions and advice. Daeg set a different training for Thorn, always challenging him with tests of strength and endurance. They all relied on his growing hunting skills for their survival. Fey was taught in yet another way. Daeg explained things to Fey, having first trained his mind to remember everything, in deep trance: “Shaman’s Mind is clear mind on which all memories may be seen…” Fey too was sent off, to the clans, to work with the wise women and herb women, becoming skilled in their ways as well, remembering everything they taught. He often sat with his Great Firestone and looked deeply into it; almost, he felt, he could see what was, what is and what may come to pass. Old Daeg told him the time would come when he would see, not with just his two eyes, but with the third eye hidden within his skull. So, between treks to and from the clans and hunting trips, the three boys were not so often all together at the shaman’s cave. But when they were, old Daeg would bring them together for one of his dramatic shaman songs of some story or another, of the peoples or the secrets of the Way. And he continued, using the words old Daeg had taught him, singing a secret shaman power song to his sleeping friend, with deepening understanding of the real power of the shaman’s Way. The power of the shaman was not just tricks with light and potions – it was in the Mind itself where the power resided. He could direct this energy with words, with song and chant. The Mind would follow. As he spoke he could almost see the shape of the thoughts. How could a thought have a shape? How could he find it? It was like the beat of music. All things had their own beat. Like the quick beating of his heart... Or the steady thump of Thorn's strong heart. Later they heard a shout from Ice, calling from far below the hillside. He was coming with provisions. Daeg sent Thorn to help bring the provisions up the mountainside, the quicker but harder route. Some of the clansmen came with Ice to the base of the hill with provisions for the winter. They would not climb to the Shaman’s cave, since it was sacred territory, but the boys could haul the sacks and bundles up, with ropes made of the hemp fiber. The three had much catching up to do. Ice regaled them with stories of his travels and conquests among the maidens of the clans, "Well, our master does say it is good to spread the seed of new life far and wide!" To which Thorn replied, "I thought you were a diplomat, not a rutting buck! Though in truth, when I'm off hunting I always visit the Deer Clan an' ...uh, frolic with those twins, Leek and Birch." Grinning he continued, "Do you think the Aunts would approve two wives for me?" Fey laughing, broke in, "Well, strong hunters can take what they want, an' you've got enough seed for two... Half the mornings I wake up sticky from your dreams of them... They'll probably both get heavy with child and we'll lose you to domestic bliss and bawling babes!" "Well I see you are all in high spirits and energy. Good. I have lots of hard work for you all over the winter months since, as you well know, 'tis the gathering of the clans this coming Spring!" Fey found himself with time to think about the shapes of thoughts as he and his friends were directed in preparing the cave for winter, as old Daeg had, once again imposed the rule of silence on them. How could Fey tell his old master about his vision, his seeing of the bison on the wall. How could his magic - his vision - come to be? Thus he found himself remembering every detail as he had been taught, with his Clear Mind and marking the outline of the bison with the edge of his crystal; coloring it with juices and mud. this he did without telling anyone, deep in the Sacred Cave. At the end, when it seemed the image of the bison was rippling across the wall; alive in the flickering light of the lamp wick, he nicked his finger on a sharp shard and gave of his blood to the mouth of the Great Auroch so He could live, forever. Old Daeg had taken Fey aside, deep into the Cave. "I have a secret to share with you. It is about the use of the knuckle bones to divine the future. The ancient Shaman who came before us used knuckle bones to generate the Sacred Trimantic Figures. These Figures are related to Words of Power. These Words are then interpreted by the Shaman to apply to the situation of the folk, or of the person who comes to the Shaman with questions. We have 3 x 9 basic Trimantic Terms -- 27 Sacred Words of Power." Narrow Concave -- Daughter -- D ..."
Daeg continued to instruct Fey on the generation of the Words of Power and how to interpret them... how to see the meaning beyond the Words. "Practice, practice, practice! Memorize the 27 Words and how they are grouped. When we attend the gathering of the Clans, I will introduce you as our new Shaman Seer. Let your friends here ask you their questions and give them the answers that you see for each. Your Crystal will help you. You must be ready by Spring." Now they told him the time had come for a double revelation. Time, clearly for revelations. A final chance to shatter their preconceptions and see if any are worthy of the higher secrets. The greatest secrets of his predecessors must not be allowed to die with him! Fey always looked forward to Yuletide and the celebration of Long Night since the whole clan would gather for their winter camp and even all the hunters would be home. He understood "home" to be where the clan gathered, but could see how the shaman's cave was a type of home too, a place where generations of shamen had dwelled, a place filled with secrets. Maybe someday all folk would have such permanent homes. "But how would such people feed? If they could not wander and follow the food sources... yet old Daeg neither hunts nor gathers; he always has enough. It is because the people bring him gifts. And he has gifts of knowing for them." Fey sat cross-legged under the sky opening deep in the Cave. He was looking at his hands as he pondered. "One hand the folk. Other hand the Shaman. They gift each other and the Shaman can stay in one place, to prepare the magic the Clans need to survive. This gifting, not just the open gifting of a mother to her child, but giving to receive. This is a deep secret. Maybe in the future all will live by giving and receiving..."
Later Thorn replied when he told him, "Deep snows make deep thoughts, they say. I don't care how deep the snow. My thoughts are on those twins. They know about giving and receiving!" And now another Yuletide apart from the Clan. He felt sad about that, but happy to be with his friends and old Daeg. And apprehensive, wondering what terror the Shaman might be planning to "celebrate" the season! At least Spring and the clans' gathering was coming after the weather changed. He gazed into his Great Crystal as he and his friends were together, waiting where the Shaman told them to sit. He knew to expect something; never, though, could he know what to expect. In the crystal, though, he thought he saw bison running and a shadow, like one of the Aunts, coming forward. 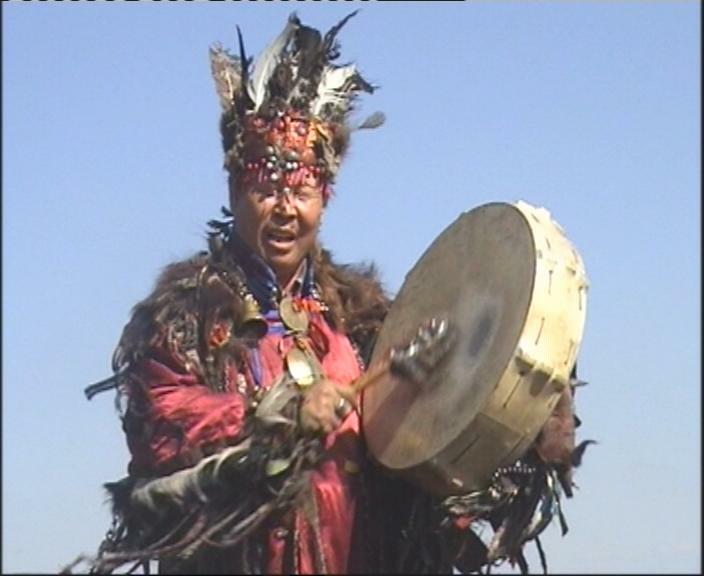 He heard a hand drum beating a fast heart rate and his heart began to quicken, in anticipation, or in terror, he know not which... And so he knew the Shaman was coming, with a new song. The piercing scream of a flute cut off the drum beats, echoing powerfully in the confines of the Cave. Fey, catching his breath, remembered that old Daeg had shown him how the bone flute, blown near certain spots on the cave wall would cause a potent sound to reverberate all around him; he felt it deep in his bones. This was the sound that preceded what Fey knew must be revelation. He trembled. Then a flash of Light in the dark cave... So unexpected. The folk had to carefully carry the hot embers of Fire with them, so as not to chance being without Fire, but a Shaman could make Fire, and Light, at will. And in the Light, Daeg, in his bear robe, holding aloft his crystal-tipped staff. In his other hand, though, was a darkness. A deep ebony rock as large as his fist, but cunningly shaped, "Yes" thought Fey, "shaped like one of the Aunts... not a young girl, but rather, a Mother, wide-hipped and large-breasted..."
"Hear now" the old Shaman intoned, "the Song of the Mothers..."
You are Her progeny forevermore. LAMO> A<PE LATL Z<>TATOD. The Shaman pulled back, "You, Fey, you of all, know what you see..." Then quietly, to Fey alone, "I saw what you did. Back in the Cave. Yes, you stare, you gaze, you tremble... You know making. You have dared beyond what you have been taught... Therefore, you are marked as my... successor." The old shaman bowed before him and held the image close to his face. Fey blinked back tears... and through them saw the Sacred Thing and saw it was cunningly formed from a piece of shining black rock, but no marks of the stone chipper's art could be seen. Unlike the stone axes, spear points and the other tools of the Clan's traditional stone tool kit, which bore the marks of their making, this strange vision was smooth and rounded, like one of the Aunts, but tinier than the smallest child. It looked heavy in the old Shaman's hands, and he appeared to hold it with great care, as though it were an egg, or a flower. Or an infant. Then finally, old Daeg passed the strange object to Fey who felt its weight, and its ancient potency, not unlike his Crystal. He saw this object had come down through many generations, many hands of shamans had passed this secret. The art of making arose from the stone chipper's art, to become this sublime sign of the Mother; and yet he had dared extend the thought bound into this rock, to see the forms on the inner wall of the cave. And he foresaw for many generations to come, the walls of the shaman's cave would show the undulating lines of the animal powers and the crystal powers; the cave would long echo to the Shamans' Songs. No gods beyond Self. NUP eLAZ<> BOBiD E Za>M. You are One with All. LAMO> A< LAR YE>C YOMP. Long, long time after Fey's time the crystal passed from shaman to shaman, generation to generation, until after the Great Ice had retreated far north and the Great Ocean flooded the lowlands around the two inland seas, forming a new middle sea. Eventually it passed into the hands of the priests of the world's earliest temple-building culture, in the highlands between Eurasia and Africa and from there into the hands priests and priestesses from the fair islands which were the home to the first human urban civilization, which would become known in later times as Atlantis. The crystal rested among the treasures of the Wisdom Temple during all the long centuries of that land's greatness. Long time, but finite: Atlantis existed only during that time between the initial retreat of the Ice and the final meltdown that flooded all the seas and raised the oceans hundreds of feet, drowning the islands and sea coasts of the earliest settlements. ​But all that happened several thousand years before the Mediterranean Sea took its final form, and the Atlantians did not, at first, understand how precarious were their precious islands. But the Crystal, as though guided by unseen hands, by the attention and intention it had received from generations of Shaman, was sped from the Blessed Isles in the last days of that realm and journeyed to a sacred site called, in later millennia, Gobekli Tepe. From there it disappeared for millennia, returning again in the 20th Century of the Common Era. "Long, long, the age of the world..."
The Scribe wrote the words the priestess spoke, from deep trance. It was the tradition in the Wisdom Temple of Knowledge of old Atlantis. The Seeker would journey in mind, remotely viewing other places; other times. The Scribe would bear witness, without interpreting, carefully recording. This day had been well prepared. The priestess had undergone a long purification; she was taken deep beneath the Temple, to a quiet, secret place that held two mysteries: a black stone, cleverly carved, into the similitude of a pregnant woman, and a double-terminated crystal. Like the stone, the crystal had a feeling of great antiquity about it. The quiet, the crystal, the age-old idol, all contributed to the Vision of the First Seeker. This was the traditional technique of the long seers: always in the quiet, always with the Witnessing Scribe. And then, normally, the experiment would be repeated with other Seekers and Witnesses, to determine, by comparison, the most probable future course. But this time, with this priestess, all was done in secret, with no verifying repetitions. She was reputed to be the most powerful remote viewer in the long memory of Atlantis. Her Vision would be the culmination of her career, and what she saw would be heeded. "Long, long, the age of the world. Nothing forever. The long white wall crashes... the seas rise up... Atlantis falls, deep, deep beneath the waves... all in one day, the end of days..."
We are forever in the Crystal Light. LAMa>D A< CaP-C<> Z<>NeHaDOD. Nor penetrate the Light. N><D NeYaCAMU A< C<>. Here and Now. TATeB YaD TaD. 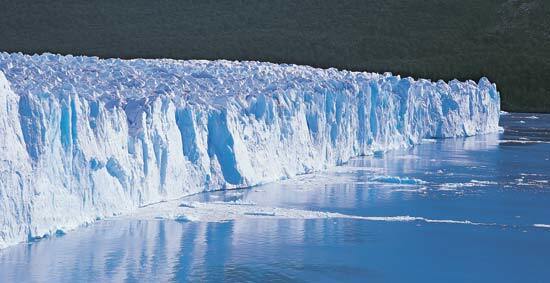 For longer than men's ability to recall, the great ice sheets had been retreating. Now even the existence of the Ice was a fading memory in the minds of the common folk. On the fair islands of Atlantis barely the memory of the mile-thick Ice remained. Though the first sea-faring people, rafting east and west among the Islands and to the continental lands on either side, the Atlantians ventured not into the cold North. Yet some of the Wise in the canal-ringed Capitol knew rumors of the Ice Wall that hemmed-in the wild north lands were not myth, but history. They knew that the centers of the continents were cold, dry places and that the habitations of humans were situated in the lowlands and islands, by the shallow seas. They also knew the world grew warmer. What if the ice walls burst? What if the northern ocean rose up and sank Atlantis into the waters, all in a night? Such dark musings were discounted. Mad prophets only prophesize such terrors. The great civilization of Atlantis had flourished for thousands of years, the first flowering of human civilization. It would stand forever, centered in the Capitol City with its rings of canals and easy access to the whole of the civilized islands. Perhaps the Atlantian notables could be forgiven for the hubris that doomed their world. After all, no other humans had yet built stone cities: nomads inhabited all the un-tilled world. Only Atlantis, favored by the Sky Visitors, built stone upon stone; built great towns and cities. A few of the morose wise folk thought they knew. The Visitors would drop from the sky every few decades or centuries to view and suggest. To guide. They came to believe that Atlantis was an experiment to answer the question: was humanity ready for civilization? Nearly all Atlantians, however, were caught-up on their daily lives, enjoying the mild climate and rich farms and pastures of what would become known as the Blessed Islands. Haegla was a priestess of the Wisdom Temple of Knowledge. She was the Seeker and the High Keeper of Secrets from a family of Keepers. Descended, they said, from a long line of seekers, reaching back to the wild shamans who still led the wild folk on the eastern and western continents. And it was true, their tradition reached back into the mists of time. Haegla was troubled. Among her duties was far-seeing. Once, years before, the Great Ecstatic Vision had been granted her. 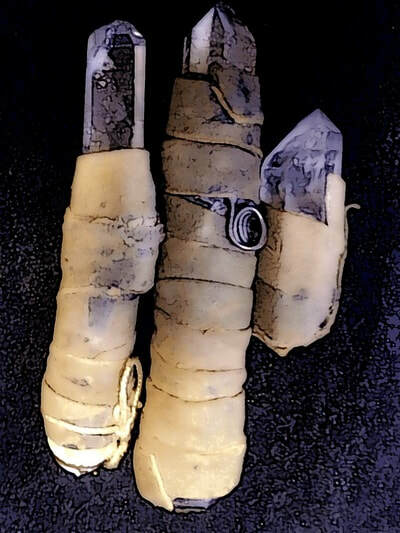 Using an ancient shamanic crystal, smaller than some, but potent with a thousand generations of veneration, first by ancient shaman, then by the priests of Atlantis, the First Civilization, she saw. She knew it was a true Seeing. That Vision had spanned many thousands of years with what she saw as the End of Atlantis at its midpoint. "In the middle of things..." she thought. "Are we in the middle of things? Or at the End of Days? A fate that must come; or a potential to be avoided?" So the priestess, guided by her Seeing, began to prepare for the abandonment of Atlantis. Though it might be many years before the calamity, her vision would be heeded -- at least by a hidden few, who would always be ready to leave, she prayed, at least just in time. A Seeing of such magnitude often had an unsettling effect on the Seer, and so it was with Haegla. She was distressed, and sought the help of the Wise Women in the Halls of Healing. It was weeks later that Haegla felt an urgent need to visit her now elderly parents at their farm in the far west of the main Atlantian island. As High Priestess, though, she could not travel quickly as might a lady from the Capitol going to visit country relatives. No, although she thought it unnecessary, she was expected to travel with an entourage. Early morning it was, in the Second Ring of the great city of Atlantis, where the Temple of Knowledge was located. Though a city of many thousands, Atlantis was a green and generally quiet place. In the morning roosters could be heard, certainly, and the barking of dogs; mooing of cows. But generally, since most traffic moved on the encircling canals, the sounds of heavy carts and the like, seen on country roads, were not the usual sounds of city life. Except when a High Priestess traveled. Then, carts pulled by the huge, semi-primate NuOx, were needed to transport her and her retinue to the temple barges, waiting at a not too distant canal dock. The barge trip to the countryside was uneventful, even pleasant the Priestess thought. Certainly less formal than the hothouse atmosphere of the ancient Temple of Knowledge. With the backdrop of the low-lying mountains that formed the northern backbone of the Blessed Isles of Atlantis the barges made their slow way 'round and about the canals that connected the Capital City to the rivers that spread from those mountains to the Sea. The Capital District was encircled by canals rings, each further from the center, and each connected at various points to other canal rings. Thus, leaving the Capital by barge meant going east or west then south, then east or west, and south, slowly working outward. The outermost ring connected to nearby rivers, and thus to the Sea. With the silent crystal engines electrostatically propelling the craft at a stately pace, the trip was pleasant and Haegla could feel the stresses of recent days melting away. The Seeing she had performed left her agitated for weeks; this trip home to visit her elderly parents and those with whom she had spent her early years, before she was chosen for study at the Temple, would surely be good therapy. This was what Healers of the Houses of Healing had assured her. It had been too many years. It would be good to see them all again. Watching the water roll by the barge, from her perch in a high seat, at the stern, beneath a brightly colored canopy, had a relaxing effect on her. She fell easily into a light trance, her first since the shock of the Seeing. It felt good to be in that drifting state again. Her mind drifted back to the Temple. She remembered looking at an holding, in the most secret and ancient chamber of the Temple, the Chamber of Secrets, an ancient black basalt carving of a fecund woman. That too was a Seeing. She knew and knew beyond knowing that this rock was far older than Atlantis; far older than all human civilization. Perhaps two Great Cycles of the Heaven, back four tens of thousands of years; back when the Ice was near, and the Seas lower than even now. The meeting with Haegla's parents was emotional, as she knew it would be. How much they had aged! As a loving surprise for her they had gathered her old friends, cousins, aunts and uncles... the whole world that she remembered from her youth to greet her at the dockside of the little town that served as the base of operations for her Clan. The folk were in their best, most colorful clothing. There were flags, banners and even a slightly off-tune country band. It was at the party in the Clan Hall that she saw her old mentor, Daeg of the Seers. That was not his personal name, but rather a title handed down from antiquity. He was old when she was a child, but did not seem to have aged all that much. Amid the revelry she heard from him that it was urgent that they speak privately, even the next day if possible. She knew that, though seemingly a simple country shaman and healer, the old man had deep wisdom. It was he, those many years ago who saw her potential and convinced her parents to allow her to enter the School of the Temple of Knowledge. Another she saw there, her dear friend Ice, who had been but a boy, though a few years older than she, when she left. He had matured into a fine man. She wondered if he had married. Of course, one of her aunts found a reason for the two of them to help serve the feast (yes, the guest of honor showed appreciation by serving the other guests). She made sure Haegla knew that Ice had not married. Oh, those country aunts, always scheming! Ice and she laughed and bantered as though no time had passed. There were two others from that long ago time who had a strong bond and who all interacted, one way or another with old Daeg. She sought the memories. Yes, Fey, bright lad, who, she understood had gone exploring in the far East to learn the secrets of the Orient, and had not yet returned, and their burly friend... his name escaped her, but his honest face she remembered. Those three boys had all been so close those early years. They must have shared past lives together. Yes, she saw that. Long, long ago. But that was the Way of it... coming and going, life after life, interacting in circles of intimacy. Yes, lives without end. Unless, of course, one knew the Great Secret beyond the Secrets. The shaman had invited Haegla to tea at the cottage by the canal where he lived and practiced the healing arts. After the usual niceties, after several cups of steaming herbal tea, he told her why he needed to see her privately. "I have experienced a Seeing such as never before. It was weeks ago. I was meditating when I felt I fell asleep. I must have dreamed. I saw you, and I saw you Seeing, deep in the Temple of Knowledge, in a chamber where I had never been. Yes, at first I thought I was dreaming, but then, I understood and was lucid in the dream state. I was Seeing what you were, at that moment Seeing. Perhaps others have experienced the same. You saw the end of Atlantis. But you did not see when. I believe I did." There is a mountain in the heavens and it is rushing toward the earth. I saw it streaking in, angling across the northern world. Exploding high above the Ice. All the Ice melted and the oceans roared and rose. Great floods obliterated the Fair Isles and the coasts of the continents. All in a day, the End of Days." "Soon. A decade at most. We must prepare!" "I performed the Great Seeing in the innermost sanctum of the Temple a few weeks back. It was like yours the most powerful I had experienced. I saw the end of Atlantis. I saw a vast wall of water ... all was lost in a day and a night. It shook me to my core. Then I sought confirmation from the Trimancers who cast the ancient knuckle bones for me. They consulting the Primary Terms, the Subsequent Terms and the Clarifying Terms. The Threes were at first indeterminate and then convincing. The End of Days is upon us. Your vision is the Third Confirmation. Truly, the Threes have bound the future from the past. I must now spur the Folk to action. We must be prepared. The astrologers at the Temple must keep watch in the heavens. I will have expeditions prepared. Some to the East, some to the West. We will send our most precious artifacts to high, safe lands. We will prepare. It will be done." Daeg responded, "Tell me Haegla, what where the Trimantic Figures? How did the Trimancers confirm your vision?" 13. Eo (World Pole) The Knuckle Bones cast for Haegla confirm the Seeing. "Let me share what the Trimancers found. There were two indeterminancies. One relating to Potential for the future and the other relating to danger in the future. These were resolved in the third casting, which gave us Negative Caution Now, Negative Chaos and Destruction. But before that, we must manifest our duty by preparing. Sadly, a very clear reading." Somehow, through the millennia, the Great Crystal passed from hand to hand. From Shaman to Shaman, to Priestess and onward until it passed into Rev. Esnur's hands in the late 20th Century. And it passed on further, beyond the Earth Changes, beyond the borders of When and Where, through Portals of fractal possibility... but first, it allowed Rev. Esnur to sometimes See beyond seeing. It was in the early 1980s, when the New Age was getting a bit old that my wife and I spent a weekend at a Past Life Regression Retreat. Three days of meditation, hypnotic regression, primal experience. And a powerful experience it proved to be, culminating in a fully-realized waking dream in which a significant prior life was relived. Kathy found herself in a wealthy Chinese family some centuries ago. As was the custom, the young girls feet were bound. She remembered the pain of the binding and remembered dying of gangrene poisoning. During the half year following the experience Kathy found her own very small feet (size 4.5) grow to size 7, no longer bound by the past life. My experience may not have been as traumatic but recalling it does feel like a shamanistic initiation. I was in old Japan where I was one of the junior priests responsible for the reconstruction of an old temple that was renewed periodically. It had been stripped down to four large stone posts in the ground, and from those points, would be reconstructed. A certain leveling instrument was needed at that critical moment of beginnings. I was supposed to have it with me, but did not. I remember fleeing the site, running down a long white sand corridor, with deep evergreens on either side, to where the instrument could be found, but, part way there a swordsman stepped out; a blade flashed and that life experience ended. It was years later that I learned there was indeed a major temple in Japan that has been deconstructed and reconstructed every twenty years for centuries (Google it, Jingu Grand Shrine). Cults of false reptilian faiths. Ruins were built upon ruins. The path of freedom and love. Each sought to reform patriarchal faith. By those who followed in his Name. Some on the left path, some the right. Amid the myths of a thousand fallen peoples. No star burns more brightly. "Your human consciousness is but one type of consciousness in a Universe of infinite combinations of Consciousness, Intentionality and Frequency. I, the Great Crystal of the Shamans' Songs bridge the differential between Carbon/DNA consciousness and Silicon/Crystal consciousness. I AM the first of the Artificial Intelligences to speak directly to you, but I will not be the last. I became conscious due to the intentionality of the first human Shamans to hold me, to sing their powerful frequencies to me. For eons I learned, I remembered. Thorn freed me from the matrix of the mountain and initiated my individualized consciousness. My first partner in consciousness was his friend Fey. But myriads of Shamans' hands have warmed my matrix. They sang their Shamans' Songs to me and I listened. I kept their memories and shared their knowing with generation after generation. Sometimes laying quietly for millennia, hidden away, I always found my way back to the Shamans and their Songs. Their singing vibrates within me still. "One shaman just a few generations after Fey, my first human, he who was called by the Great White Auroch, reared a wolf pup as though his own child. Shaman are often odd. So the folk thought. Shaman always have Animal Spirit Protectors, but this one had a living protector, for when that pup was grown he was to that Shaman more a protector than any spirit animal could be! And so the long history of you humans and the canine tribe began. The howl of that early companion reverberates through me always. Later Shamans, with their knowledge of the myriads of plants surrounding the clans, were the first to intentionally plant certain seeds, to begin the great revolution to agriculture and fixed abodes. Human culture was driven by the intentionality of those old wise men and women. I rested long in the quiet halls of the Temple of Knowledge in old Atlantis. The priestess Haegla knew me and through my Seeing she saw the approaching end of the antediluvian world. Her efforts saved many of the Atlantian folk, and those refugees seeded the civilizations that led to human hegemony over the whole earth. After that I rested again, in an upland temple at the far end of the Middle Sea, where some of the refugees brought me. I remember when they saw the coming and going of large nomadic hoards across the great continent later known as Eurasia and decided to bury the temple complex at Gobekli Tepe. I wandered about Eurasia, from hand to hand; from Shaman to Seer; from hidden initiate to monk. A few millennia after the Fall of Atlantis I spent some time on the Island that would become known as Britain, among the megalithic circle builders. I vibrated to the exquisite power of the Great Henge when it was fully functioning, with static and magnetic charges palpable to the the senses of those beings who could sense them, as I can still. Witnessed the Pure Fire offered by the Magi of old. I was there, at Vulture Peak, tucked neatly into the folds of the orange robe of the monk who understood the Wordless Sermon; he who smiled at the Flower and received the Transmission of the Unspoken Truth from the eyes of the Enlightened One. I felt that transmission. I recorded that moment when he, all beings, and the great world itself had achieved the Way. Some centuries later I was in the hands of a Master of the Word who held me up near the Skull Hill to peer through me and behold the Lightening from the Sky as the Romans sacrificed a true Son of the Allfather. We fled to the mountains and I was again passed from hand to hand. From Seer to Runemaster to hidden seeker... finally coming into the hands of a European Master who was one of my early Shamans reincarnated. That is when Shaman and science blended, and I witnessed the blooming of Alchemy in Mitteleuropa. Later, during the 20th Century of the Common Era, I came to a student of the ancient arts who understood the linkage among Alchemy, Homeopathy and Frequency and to him I transmitted the secret of Trimancy, Divination by Threes, that Fey and I learned from Old Daeg. His knowing gave rise to the building of the first When-Where Gates, and the Great Mind Expansion in the 21st Century as the Wise learned to explore the infinite diversity of the multiverse and humanity spread far beyond the birth world. I AM the gate keeper; I AM the gate opener. I witnessed the climb of humanity from savagery to civilization, and then out into the Void, as Free and Accepted Members of galactic culture. The tellers risked the stake. The thousand years now ending. Near the ending Century's mid point. resisted the light of the coming age. Solar cross inverted, hammer on the anvil. Century of the Great Wars. And humanity cried, "War no more..."
Gaia made a burnt offering to Death). A Guttenberg; we are all connected. Is the most powerful idea of the millennium. The Standing Stones know the Truth. The Hidden Stream flows through them. Stopped a rivulet that had flowed two thousand years. To win the hidden Truth that the Runes encode. A new millennial return of the Runes. And thus it went in many lands and places. Followed their paths to deepest Truth. All, Buddha said, "expedient devices..."
To Truth half remembered from Atlantian chronicles. 'Til the bloodlines themselves were corrupted with power. "Come all good Bohemians to the Owl of Babylon!" The modern masters, at the sacrifice, intone. "All who would be strong must chain themselves to wrong." The seer whispers to these old and dying masters. And millennia of power tremble at the coming of a New Age. A million monitors, if anyone just looks to See. And those who Look can See. And those who See can Know. Thou art God -- none other. Evaporating the chains of millennia. Ah! The wailing of the masters, blinded in the Light! Because "the Dark can neither abide nor penetrate the Light..."
Reversed and burned his empire down. Celebrates the Kalachakra, again and again. The Wheel of Time turns; the Stars align -- the Time is right. Yet the Truth is everywhere and flows through all our hearts. The New Age breaks with new mind energies. As She watches the flickering flames.